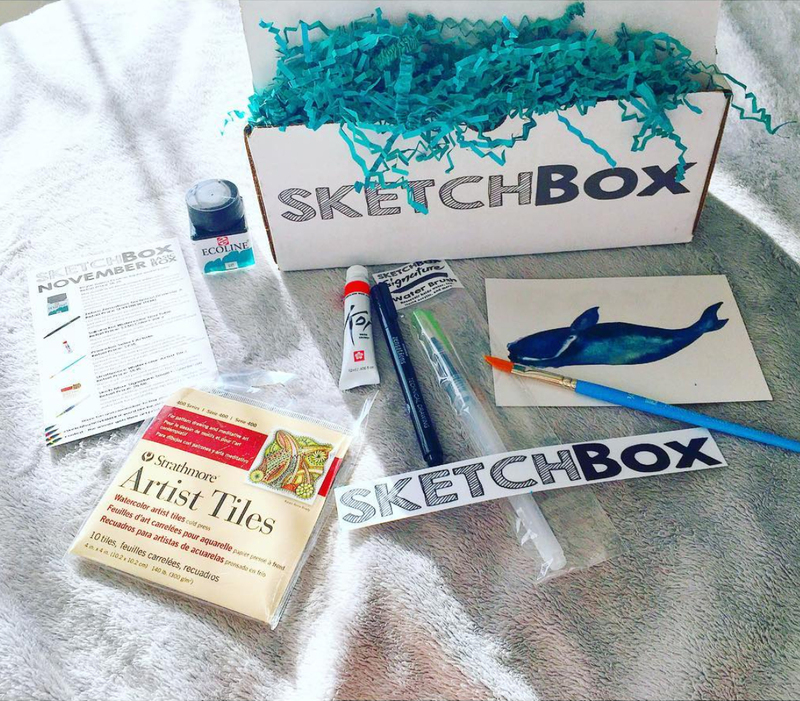 Our November boxes focused on unique watercolor! First up we included Royal Talens Ecoline liquid watercolor. It is highly intense, saturated dye-based liquid watercolor that dries within minutes, is dilutable with water and can be rewetted. Use the included sketchbox signature waterbrush to blend with water and create washes and tonal variations. Next up we included a 12ml tube of Sakura Koi watercolor so you could blend with the liquid watercolor to create new colors. We also included a Princeton Select Artiste dagger brush. Created by the fine craftsmen of Princeton, in partnership with well-known artist Willow Wolfe. The synthetic fibers are specially made to work with both watercolor and acrylic making it a versatile addition to your brush collection. This box also included one of brand new signature fine tipped water brushes. This water brush can be filled with the liquid watercolor to create your own brush pen! Another brand new item was the Zebra Zensations Technical drawing pen in size .8mm. Use this brand new product from Zebra to outline and add detail to your new watercolor piece. The ink is waterproof making it perfect for your watercolor piece. Finally we included some Strathmore artist watercolor tiles. These 4”x4” cold pressed watercolor tiles are perfect to test out all the new supplies in this month’s box. This picture was taken by our subscriber @keconover on instagram.